To all our Latisse® clients: We're so grateful to you for your loyalty and great relationships over the past several years. We're excited to tell you that we've been acquired by and merged with SkinSolutions.MD, a LegitScript-certified provider of Latisse that is physician-owned and fulfills orders through partnerships with brick and mortar pharmacies. With this change, you'll be able to easily, safely, and legally order Latisse with a prescription and to shop top-rated, physician-approved lines of skin care for all your skin health and beauty needs. There are many causes for thinning eyelashes. Aging, poor makeup habits, product overuse, medical issues, etc. How do you get them back and better than ever? 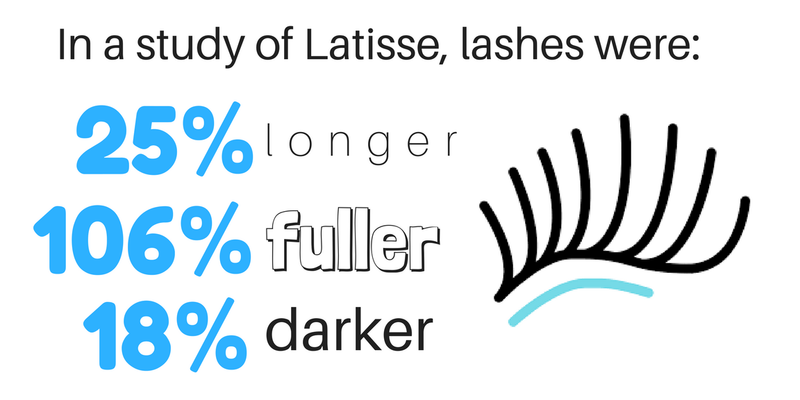 Latisse promotes long and thick eyelash growth while extending the life cycle of your healthy new lashes. Includes 70 applicators per box. We ALL love Latisse. It makes your lashes and brows look darker, thicker, longer. What's NOT to love? I love the Latisse, it actually works! I don't care for the brushes. They are to long and absorb to much product. I have to cut them down and thin them out. Works as I've used it before! I've used Latisse before and had long eye lashes. I just got this order and have used it 4-5 times, not long enough for them to grow as of yet but have confidence the lashes will grow. I have been using Latisse for a couple of years now and I can definitely see the difference. I have had great success using Latisse for the past three years and love the results it gives me. My lashes are longer and fuller than ever. It takes about six weeks to see results, but it's so worth the wait. I have used Latisse for 5 years now, and it really does give me longer, fuller lashes. This was my first time ordering the product online, and I was a bit apprehensive about doing so, but the product arrived quickly and it is the legitimate Latisse. Thanks, shoplatissemd.com...you will have a repeat customer! The aging process reduced the amount and quality of my eyelashes. Since using Latisse, I have enjoyed thicker and longer lashes.